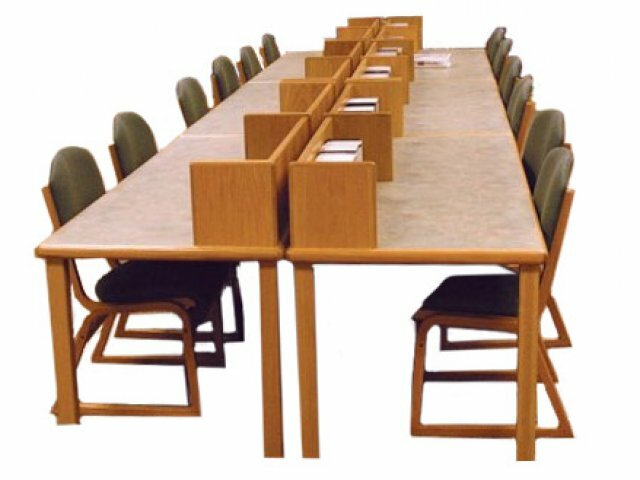 10"-high curbing runs along the entire length inside the edgeband as well as 10" along each side to provide two adjacent workstations. Two grommets and wire management in each unit help minimize cable clutter. 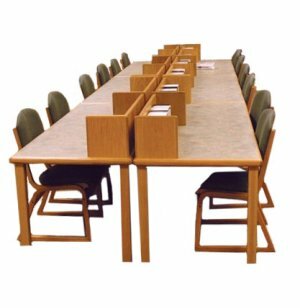 Tops constructed of 1 1/8"-thick, 45-pound density particleboard core with High-Pressure Laminate and backer sheet. Grommets and J-wire managers route cables and wires neatly and discreetly. Tops have a 14-gauge V-shaped steel keel. Curbing constructed from 1" red oak veneer plywood, secured by screws. Legs are 2 1/4" square, glued red oak with a 1/4" radius on all edges and adjustable leveling glides. Shallow Bullnose Drop Edge Banding.